Discover Cape Cod brings history and travel together in ways that make exploring the Cape a rich, educational experience. Columbus, Ohio, Dec. 2015 – Discover Cape Cod brings history and travel together in ways that make exploring Cape Cod a rich, educational experience. From the naming of Martha’s Vineyard to the formation of the National Seashore, this book explores four centuries of colonial, maritime, architectural, and economic history in a collection of 27 short stories. Learn about an English sailor who named many the Cape’s major landmarks and how a humble fruit saved the region from economic depression. Read a story about a legendary pirate’s treasure lost in a furious storm just off the coast of Wellfleet and discover sites where important economic and technological “firsts” took place. 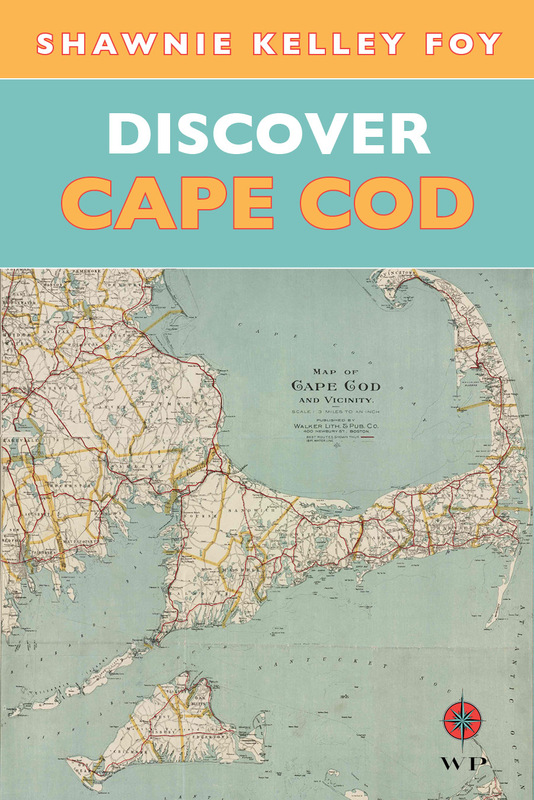 Written in an easy-to-read style, this book is both educational and entertaining, encouraging travelers to actively Discover Cape Cod through its rich historic and cultural offerings. Wanderlust Travel Press is an independent publishing house in Columbus, Ohio. Shawnie Kelley, of Upper Arlington, has also written the Insiders’ Guide to Columbus and It Happened on Cape Cod and contributes to a variety of history, food, and lifestyle magazines. She is a Partner and Travel Director for Wanderlust Tours, specializing in cultural and culinary travel, and teaches travel, history and architectural seminars and travel-inspired cooking classes. Shawnie is a Partner and Editorial Director of Wanderlust Travel Press. She lives in Columbus, Ohio, but is based in Yarmouth when on the Cape.